What is your go to snack when you are looking for something salty and crunchy? My answer, probably like any other person, would be some potato chips. 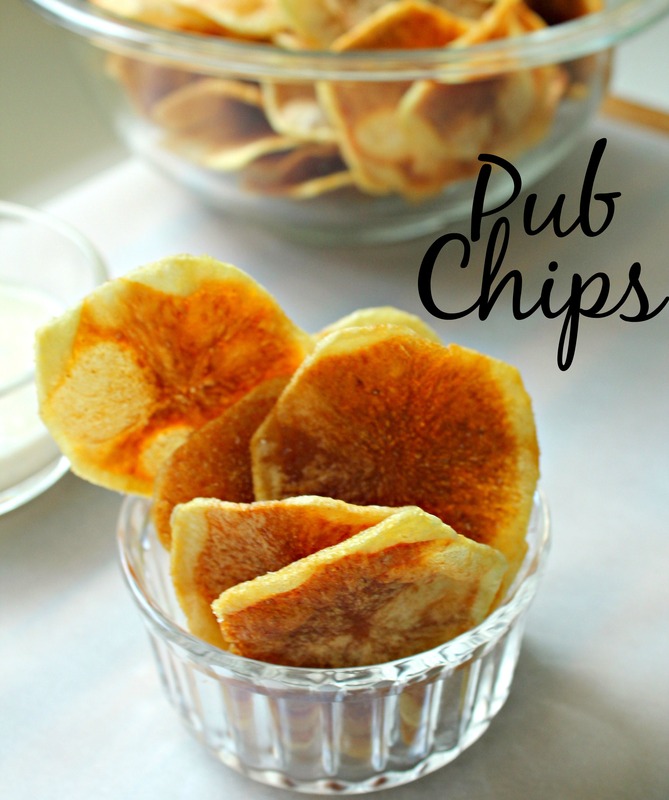 Not just any chips though, but those amazing, thick cut and super easy pub chips! As I have told you in a recent post, Paleo Zucchini Chips, that I jut happened to obtain a mandolin. Not the instrument but a slicing mandolin! I have never been so excited to have one! However, I have been making everything with it! Any form of potatoes, squash, cucumbers or anything slicable. ( not sure if that is a word but I am going with it) And it has turned out to be a tasty one.